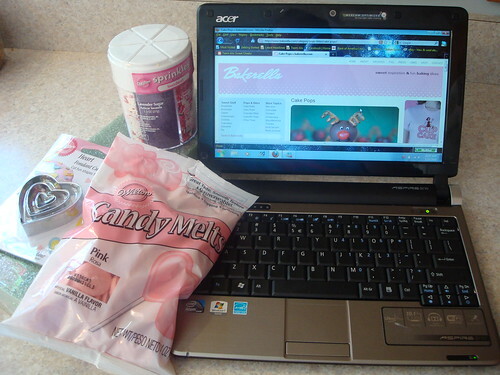 I told you earlier about Bakerella's blog and even about her S'mores Cupcakes. But this is her signature item, the one the blogging world knows her for... and I had much better results trying my hand at her creations this time around! 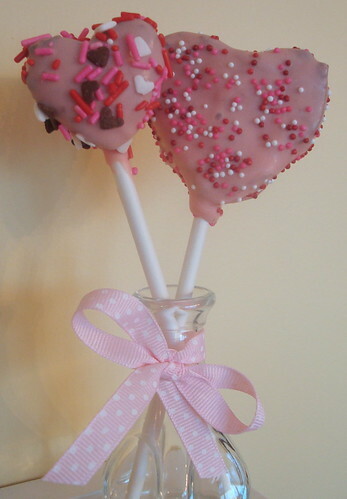 Welcome to the world of Cake Pops! You're welcome! 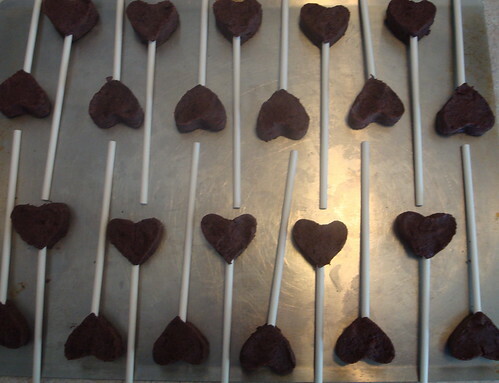 Some of the items I needed to get started I had on hand (boxed cake mix, can of frosting), but some I had to purchase - like candy melts and teeny tiny cookie cutters to make my cake pops heart shaped. And the foam block is essential, so don't skip out on that! 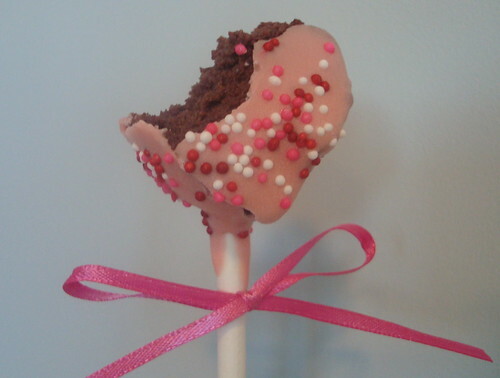 For instructions on how Bakerella makes cake pops, head on over here to her original cake pop recipe. But don't stop there!! 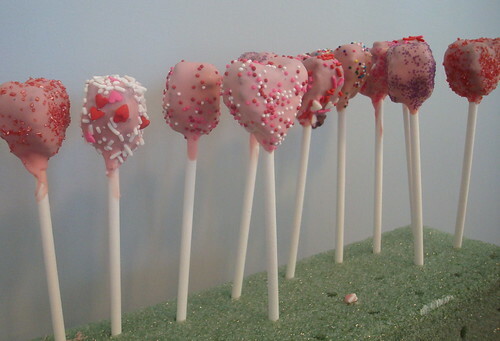 She has made cake pops in all kind of shapes, colors and for many reasons. Do the right thing and check them all out- some of her later posts offer updated tips and were really helpful for inspiration and little logistical directions! Now you can see why that foam block is so necessary. How else would you dry these things? I bought only one block and was a little concerned that they wouldn't hold all the pops. 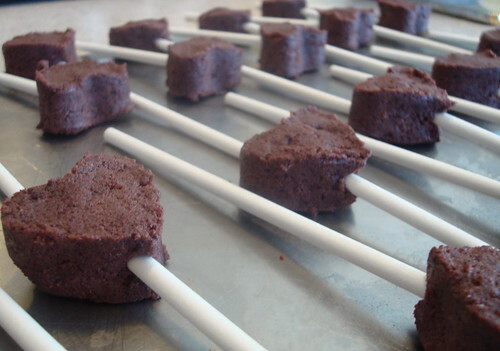 Well, it didn't hold all of the cake pops at once, but the candy coating dries fast enough that you can swap them out pretty much as you make them, so no worries there! 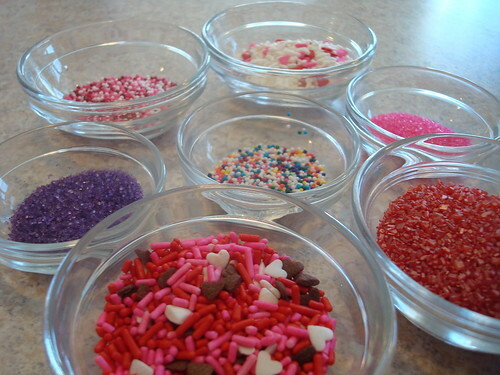 Her advice to use small amounts of the candy melts at a time is great- the candy hardens again pretty quickly so it is much easier to work with small batches. It can also be re-melted so if the bottom of your cup starts to harden or its just time to melt more candies, you can just pop the whole thing back in the microwave and give it a good stir. 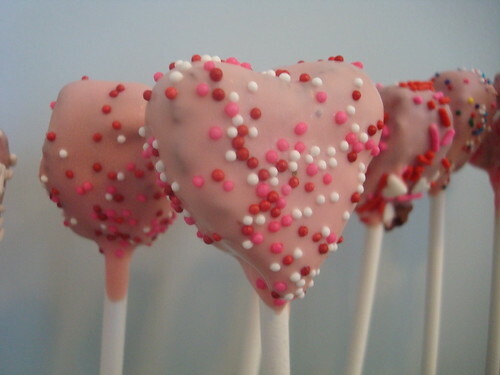 can i get candy melts in the uk?